It is located in the Belem district and was opened in 1960 on the fifth centenary of the death of Prince Henrique, who was the biggest supporter of trips that led to the Portuguese Empire. It is more than fifty meters high. The monument resembles a ship with the Portuguese shield at the sides. D. Henry who was the navigator, is represented in the bow, holding a caravel in hands. 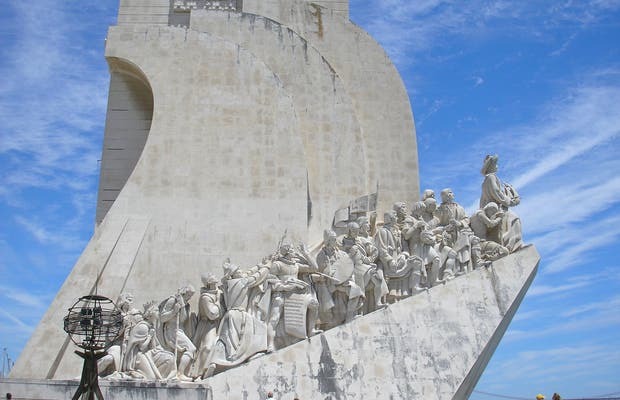 On both sides of the monument the national heroes of the Portuguese Age of Discovery are remembered. A Sister is displayed on the sixth floor, and a staircase leading up to the top where we see a great panoramic view of Belem. So its a great place to rest in the middle of the trip between the two attractions.